S (Scripture): Hebrews 10:1 The Law is a shadow of the good things that are coming, not the real things themselves. It never can perfect the ones who are trying to draw near to God through the same sacrifices that are offered continually every year. O (Observation): God’s Law stands as a corrective for God’s people, namely, the 10 Commandments. The Law also stood as an identity marker for how God’s people were to love God and love neighbor. The Law portrays a peaceful Kingdom, yet God’s people fall short of that ideal. Even though God’s people fail, that doesn’t mean the Law was not effective. The Law was a guiding light for a people who wandered time again. God’s grace is what pulled them back into relationship with God. Hebrews leans heavily on sacrifice as the scapegoat for error of God’s people. I think this author transforms what was an important custom of making sacrifices to God into a final “sealed the deal” event in Jesus’ sacrifice. The emphasis is less on appeasing God, and turning towards how Jesus fulfills the Law…how Jesus brought us closer to God than any earthly sacrifice. 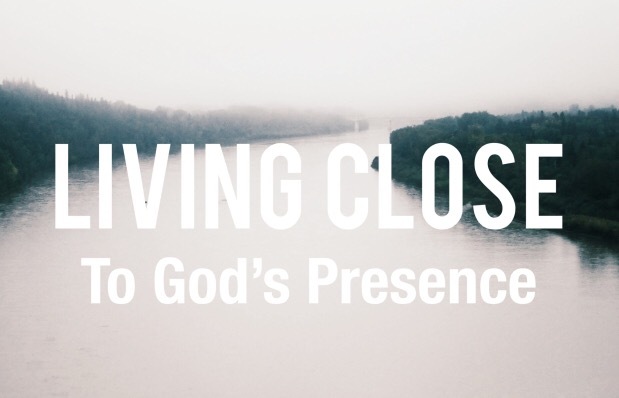 A (Application): Some days, feeling close to God can be a challenge. Challenged by finances, relationships, social media wars, lack of joy, addictions…we face many challenges. We try to follow God’s path for us, but are we on it? What do we do to make up for our wandering? And this is where the grace comes in. God shows us mercy, welcomes us back on the path. In this grace our eyes are opened once again to the wideness of God’s mercy. As we soak in this grace, we can’t help but be transformed. We realize that while we still were sinning, God was loving us through those moments. And that makes me want to get on my knees and pray for forgiveness even more. Grace, forgiveness, repentance, transformation. Pretty much in that order. No sacrifices necessary. P (Prayer): Lord, we thank you for guiding us back into the path…always. Amen. This entry was posted in Digging Daily and tagged Gospel, Grace, Law, mercy, Repentance, Sacrifice, Transformation. Bookmark the permalink. ← What Does Hope Look Like?